This weekend will give you the space to relax both mind and body. In the peace and tranquility of The Green Holiday cottages you will have the opporunity to use nature to increase your health and wellbeing. There is no special diet or complicated practice involved just taking time out to begin making the changes you need to fulfill your potential. 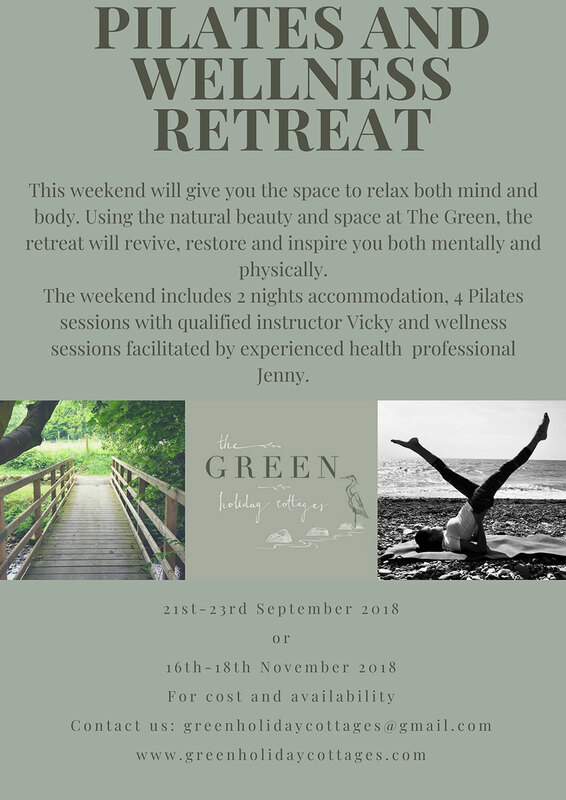 All the activities are designed to give you time to look after your mental and your physical health in ways that will last long beyond the weekend retreat. Our groups are small with no more than 12 people which allows for indivdual conversation and tuition where necessary. You can relax in our 4 star cottages and enjoy the theraputic benefits of our 8 acre woodland location. Food is locally sourced and is fish and vegetarian based but we can cater for other preferences if notified. Breakfast is provided in cottages but other meals are communally prepared and eaten together. Our trainers and faciltators are experienced in Pilates and Wellness practices. Using a variety of ecotherapy activities our retreat will give you the opportunity to connect with nature and with other people, give of your skills, learn something new, take notice of the world around you and be physically active. These elements are all necessary in achieving optimal wellbeing. 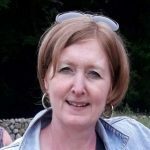 As a qualified health professional with over 20 years experience of health care in the Health Service and Community and Voluntary sector I am passionate about keeping people well in body, mind and soul. In using ecotherapy practices and techniques health and wellbeing is improved as the connection between people and nature is strengthened. Our wellness programme has been developed to ensure that the natural world is used to support and enhance your health and wellbeing. The skills, knowledge and experience gained will enhance health and wellbeing far beyond the duration of the retreat. I will be delighted to guide you through our 2 day programme. I have worked in the health and fitness industry for 15 years and now practice as a free lance fitness instructor with both group and private clients. I am qualified as a Pilates teacher with NeilPilates and currently own and manage my own company Good Mood Pilates. With a wide variety of knowledge of the importance of physical exercise and impact that it has on health and wellbeing I encourage people to use the natural world to enhance the benefit of exercise. 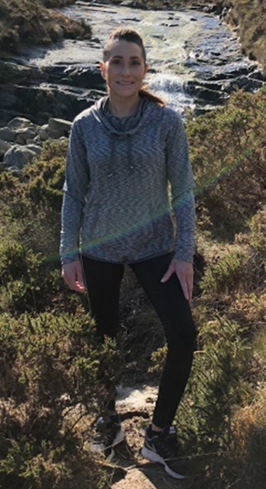 A keen horsewoman with a love and knowledge of the outdoors I am keen to share my knowledge and expertise to enhance your experience of health and wellbeing.